Isn’t it wonderful to know that your beloved dog is having a great adventure while you are away at work? At least someone is having fun! 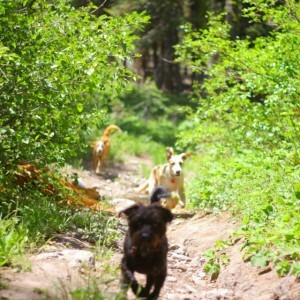 You can fulfill your dog’s needs for exercise, mental stimulation and socialization with our group walks. Besides maintaining good health, behavior problems can be greatly reduced through adequate exercise. We are a boutique dog walking company that maintains small numbers and we choose group members very carefully for compatibility and temperament to ensure safety and comfort for everyone. This way every dog feels like part of the family and not just a number. We are actively hiking and playing on beautiful beaches and nature trails for a minimum of one hour. 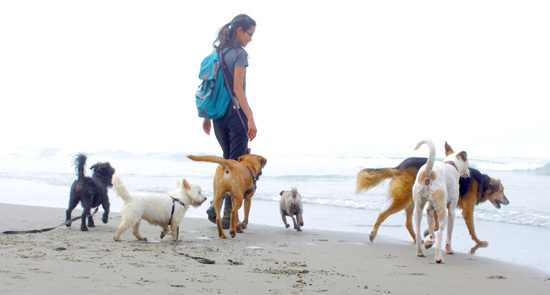 Closely supervised by a certified dog walker who is trained in pack management and safety, you can rest assure that your dog is in good hands. Call 415 706-4401 or email us for availability. Group walks are $35 per dog (5 times a week). $40 (4 times a week). Pick up and drop off included. Areas serviced include Noe Valley, Cole Valley, Dolores Park, Inner sunset. It is our policy to not use any prong, choke or electric collars because we know how to train safely without them. We maintain good behavior through positive reinforcement training techniques and dog-friendly tools such anti-pull harnesses.